Your siding is a dominant part of the aesthetic of your home, and as such, you should consider how your siding will look as a backdrop for your shingles. If you have siding that is painted with a natural color (perhaps an evergreen color), then you can go with a natural tone that works well with that color (maybe a dark charcoal grey). You should try not to choose a color that will clash with your siding. For instance, if you have dark blue siding with maroon accents, then bright orange shingles will simply look out of place. 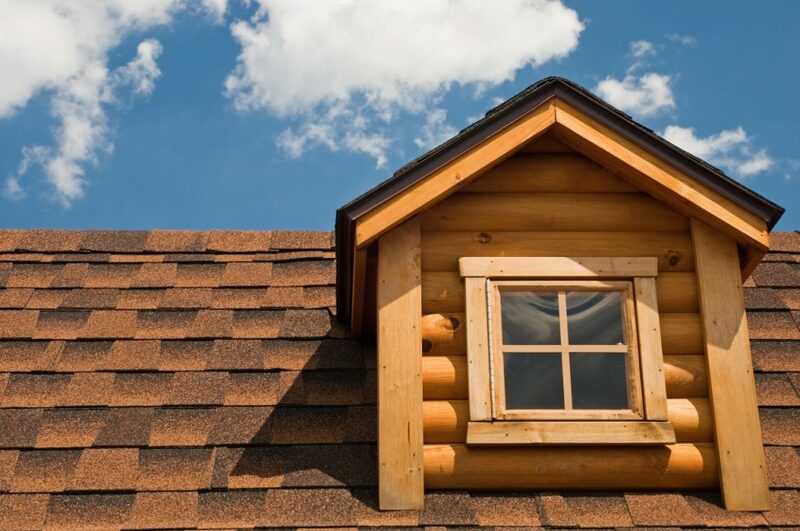 Finally, you should also consider how adaptable your shingles are — especially if you’re planning on repainting your home with another color, or if you’re planning on placing your home on the market any time in the near future. Choose a shingle color that can work well with a variety of colors if you’re considering changing the paint color of your home. Stay away from any colors that are too bright or bold. Your trim color will have as much of an impact as the rest of your siding. When you’re shopping around for the right shingle, you should consider how your trim will look, especially in areas where the trim butts up against your roof. Here, the color of your shingle and the color of your trim will interact, so it’s a good idea to compare these two components side by side while you’re making your decision. While your shingles, siding, and trim will hold the most weight in creating an aesthetic for your home, you should also consider the other features you have throughout your property. Think about the color of the brick of your chimney: Will it match with your new shingles? What about the deck in the backyard: Will its red stain look odd if you choose green or blue shingles? Maybe your home has a bold, red front door. It’s probably best to stay away from orange or rust-colored shingles that will look a bit jarring and mismatched above a red door. Your landscape shouldn’t go overlooked. Consider the trees, shrubs, and even flowers of your landscape. If you have a property with booming trees that rise above your roof, you should consider how their leaves will look against your new shingles. You can also consider how the overall aesthetic of your property looks with your upcoming shingles. For example, if you have a modern-looking landscape, then you might opt for chic, grey-black shingles instead of colorful shingles. On the other hand, if your landscape has a garden that is bursting with color, you can opt for a more colorful roof to further accent the plant life throughout your garden. Finally, you should take a look around the neighborhood. What kinds of roofs are atop your neighbor’s homes? If you’re surrounded by roofs that tend to stick to greys and browns, you might want to stick with the theme to make your home more grounded in the neighborhood. On the flip side, if you’re surrounded by all sorts of homes with varying shingle colors, you can feel free to get creative. Still stuck? If you can’t decide on the right shingle for your roof, we’d be happy to help. After all, we have years of experience installing new roofs for folks here in Massachusetts, and we’ve got a keen eye for what looks best in the area. If you want some advice as you pick the shingles for your new roof, or if you’ve decided on a shingle and you’re ready to get started, you can give us a call. We provide roofing installation services for folks here in Fitchburg, Leominster, Gardner, and the surrounding area.